Pop star Justin Bieber poses with some lucky fans as he strolls around in New Jersey after reportedly pushing back his wedding with fiance.. oops we mean his wife Hailey Bieber. When it comes to a place that one can commonly name for sightseeing a celebrity, then everyone can undoubtedly tell in a heartbeat its Hollywood borough aka California. However, if one wants to witness the biggest pop singer Justin Bieber apart from LA or Beverly Hills, then they now can expect him to see at Montclair, New Jersey. On 5th Feb. the 24 years old singer dressed in all fitness casual; a black hoodie, black baseball cap and long black and white basketball shorts, seemed to be in a happy mood as he turned up at the beautiful town of New Jersey again after reportedly pushing back his wedding date with wife Hailey Baldwin Bieber. 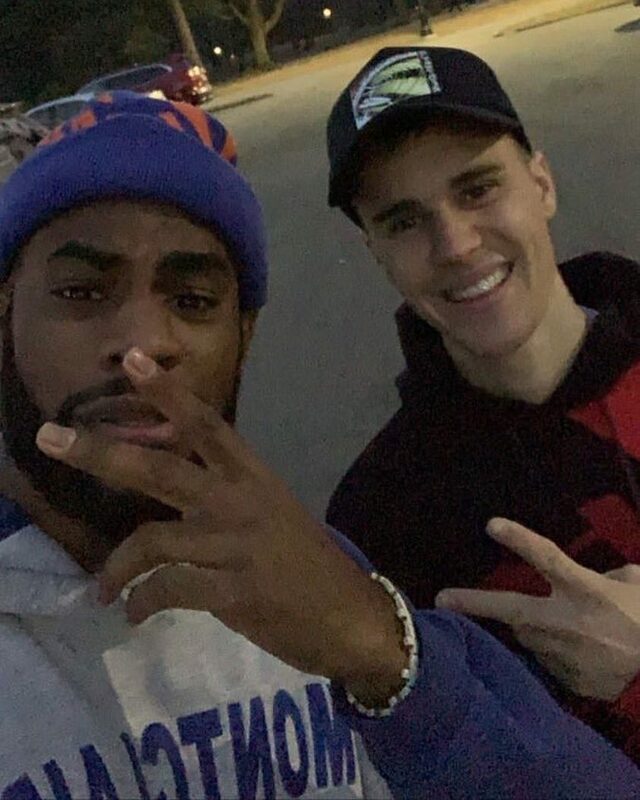 Bieber visited a local Montclair Park to do some exercise where he came across some lucky and enthusiastic surprised fans to greet him over there. The happy looking celebrity didn't mind to take some pictures with the fans. And obviously meeting a Bieber, and not posting it on social media? Something that can never happen. The cheering fans who happened to meet Bieber posted all the selfies on social media. Meanwhile, this is not the first time Bieb's visited the town. As a matter of fact, the star already visited the New Jersey area many times before since his close friend Pastor Carl Lentz, founder of Hillsong Church resides in there. It can be reasonable the Baby hitmaker was probably paying a visit to Mr. Lentz in Montclair. However, Bieber's wife, Hailey didn't show up with him. That can be logical as she is currently busy to appear on her first talk interview show on The Late Late Show with James Corden on the West Coast side. Furthermore, the fans expect Hailey previously accused of animal abuse to reveal why the pair postponed their formal wedding ceremony for the third time on the show. But, it's reported the couple pushed back their wedding ceremony after some of the guests couldn't make it to the celebrations, that were scheduled for Bieber's 25th birthday week next month.